Not enough stomach space or time to eat my way properly through Boston, but it was a fun little adventure nonetheless. 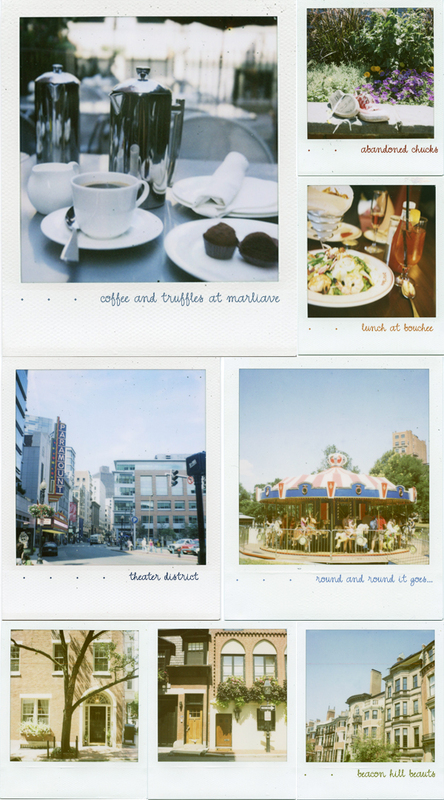 I took even more Polaroids than this, but here is the gist. I often wish I had an external stomach that I could empty to allow for maximum consumption. I love Boston. But I agree with your comments. I'm a NYer. Not a Yankee fan being I was raised in MD. Go Orioles. Nice pics as usual.